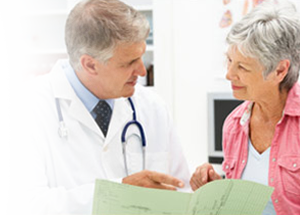 Download our free Hemorrhoids Treatment Guide to learn about your treatment options. Millions of Americans have hemorrhoids. In many cases, the symptoms can be so severe that just sitting down is painful. We recognize how detrimental hemorrhoids can be for both men and women. Embarrassment, fear of extreme pain and long recovery are all common concerns that prevent many people from seeking the treatment they need. Our specialists can minimize these fears and help you regain your quality of life. What are common hemorrhoid symptoms and when should I seek help? Is surgery my only treatment option? The advantages of being treated at one of Cleveland Clinic’s 14 convenient locations. Hemorrhoids are nothing to be ashamed of, and there is no need to suffer. Download our free guide today and begin your road to recovery. To schedule a same-day consultation, please call our team at 216.444.7000. Cleveland Clinic has been ranked #2 in the nation for gastroenterology and GI surgery in U.S. News & World Report’s “America’s Best Hospitals” survey since 2003.